The misfortune is that unfortunately, there are always various kinds of dishonest people sailing on the waves of protests and revolutions, who take advantage of the situation…subsequently, it is no longer the people who make decisions, but rather, someone else, the powerful of this world, or those who have wealth, or some kind of oligarchy….meanwhile, the wishes of the people remain somewhere in the periphery, and do not interest anyone. Over the course of history, the Church has lived in various countries, under all sorts of circumstances. She should meet life around Her calmly, in a pure, Christian way, concentrating on what is most important: The salvation of the soul! People think they are fighting for freedom - but freedom from sin is the most important freedom! For many people, Christ is uninteresting. That is why they cannot define - What is freedom, really? And they do not understand at all… The Lord says in the Gospel: “And ye shall know the truth, and the truth shall make you free.” (John 8:32) As Saint Nikolai Velimirovich also said: “If you want a revolution, then make it in your own soul!” There is enough work to keep you occupied! 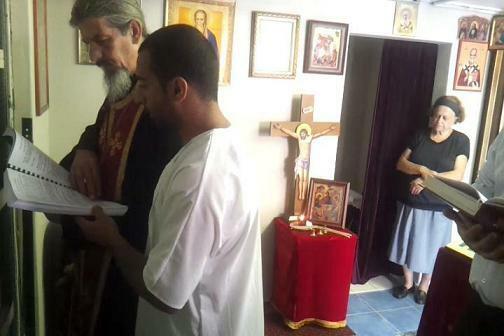 On Sunday, December 9/21, the servant of God Elias was received into the Holy Orthodox Church by the Mysteries of Baptism and Chrismation. The services of the making of a Catechumen, the Baptism, and the Chrismation were performed in English with the sponsors and a few guests present. In accordance with the canons of the Church, the baptism occurred by full immersion three times. 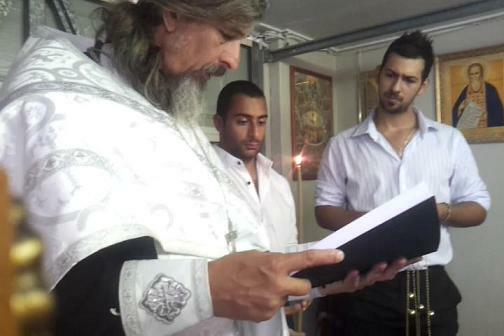 Elias was raised in the Roman-Catholic heresy, but having come to know Christ at a mature age, is now an Orthodox Christian. He is a member of the parish of St John of Kronstadt in Sydney. 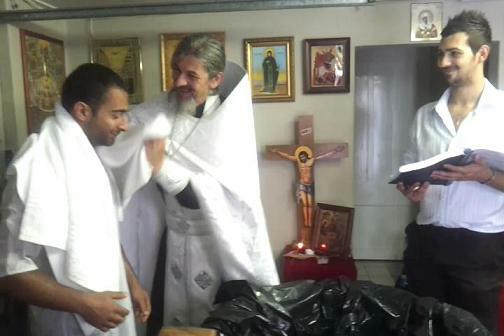 May God grant health and salvation, and many years, to our brother in Christ, the newly-illumed Elias, and may he keep his baptism pure from any stain, error or sin! 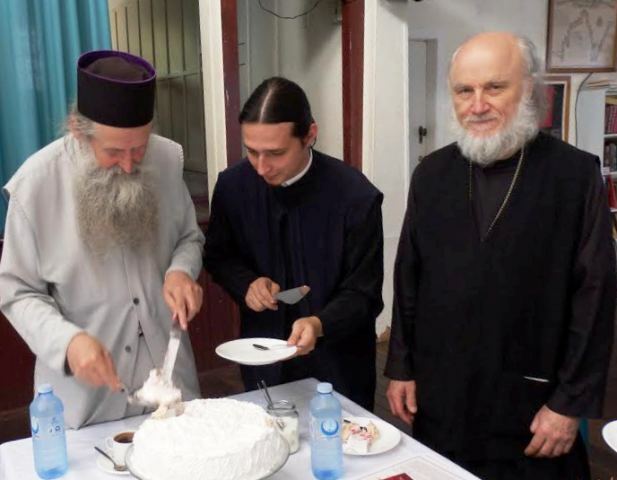 The Bulgarian Orthodox Old Calendar Church under the omophorion of His Eminence, Bishop Photios of Triaditza, has officially entered into full ecclesiastical communion with the Church of the True Orthodox Christians of Greece. 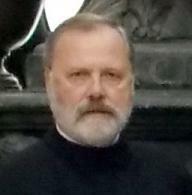 This unity was originally effected with the then existing Synod in Resistance, the Romanian Orthodox Old Calendar Church and Russian Orthodox Church Abroad, and has never been broken by any disagreement of dogmatic or ecclesiastical character, however, certain questions delayed the present statement. 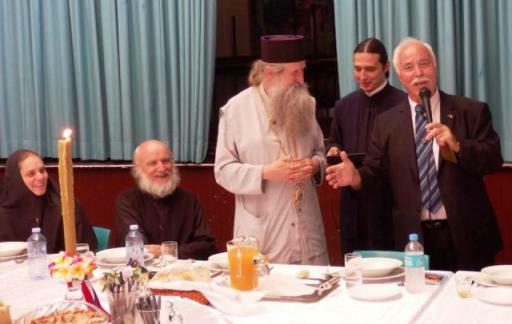 As announced in a previous message on behalf of the Church (Ecclesiastical) Council of 14/27 July, 2014, talks are underway between the Orthodox Old-Calendar Church of Bulgaria and the Church of the Genuine Orthodox Christians in Greece on establishing full ecclesial communion. During the talks, the Greek side made the point that in order for the prestige and dignity of the Orthodox Old-Calendar Church of Bulgaria to be reiterated as a self-governing Church body, it is desirable that its Synod be formed under the chairmanship of His Grace Bishop Photios with the help of hierarchs of the sister Churches, who are to be included in the Synod’s composition, as its interim members. 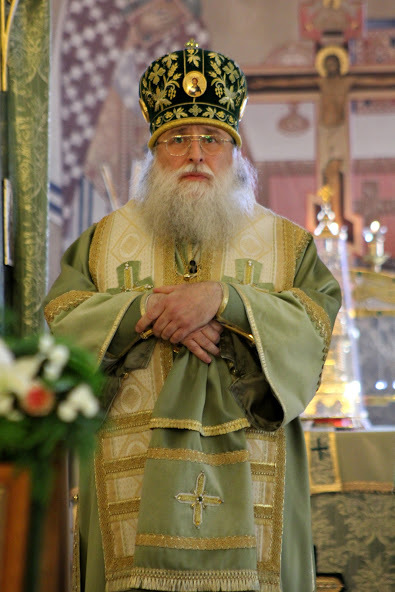 Having discussed and approved this recommendation, the Church Council of the Orthodox Old-Calendar Church of Bulgaria decided unanimously that the Ruling hierarch address the Primate of the Russian Orthodox Church Abroad, His Eminence Metropolitan Agafangel, asking that the Synod of Bishops of the (Russian Orthodox) Church Abroad bless two hierarchs of its composition to be co-opted for the formation of the Synod of the Orthodox Old-Calendar Church of Bulgaria with a status of its interim members. Metropolitan Agafangel and the hierarchs of the ROCOR Synod responded positively to the call made by our side and granted (us) selfless brotherly support. 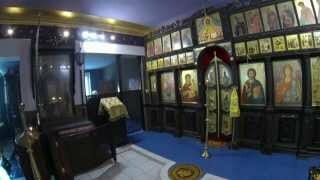 By a decree of His Grace Bishop Photios #0001 of 5/18 December, 2014 and pursuant to Decision #5 of Oct 24/Nov 6, 2014 of the Church (Ecclesiastical) Council a Synod of the Orthodox Old-Calendar Church of Bulgaria was formed chaired by His Grace Bishop Photios of Triaditsa and interim members: Their Eminences Archbishop George of Kishinev and Moldova and Bishop Nikon of Ishimsk and Siberia. The Greek side has been informed of the actions taken on our part. Yet to be agreed upon are the place and date for the official establishment of full ecclesial communion with the Church of the Genuine Orthodox Christians in Greece, which shall be fastened by the celebration of the Holy Liturgy by both primates and by hierarchs of the two sister Churches. 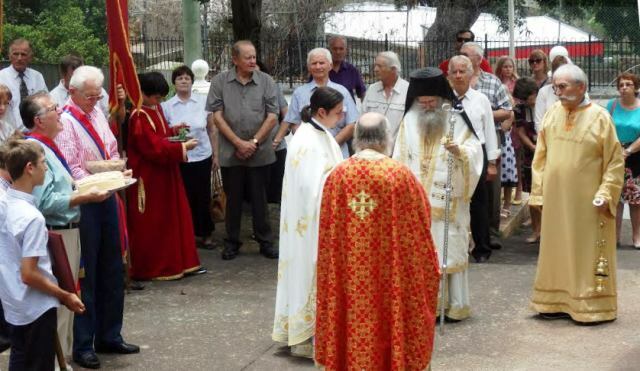 The Free Serbian Orthodox Parish in Brisbane celebrated its parish feast in honour of St Nicholas the Wonderworker on 6/19.December. His Eminence, Bishop Ambrose of Methoni (and Australia) presided at Great Vespers on the eve of the feast, as well as Matins and Divine Liturgy on the feast itself. Igumen John (ROCA) and Igumen Christophor concelebrated. On Saturday, 8./20. December, Bishop Ambrose celebrated Matins and Divine Liturgy in honour of his Saint, the holy hierarch Ambrose of Milan. Finally, on Sunday, 9/21. December, the full parish celebration in honour of St Nicholas was held, with the Divine Liturgy followed by a moleben and procession around the Church, and the order of the Serbian Slava. The sisterhood offered a festal meal in the hall. 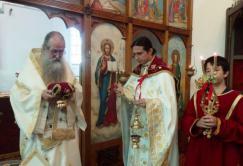 The parish offered a gift of a Panagia to His Eminence. Russian faithful from Brisbane also attended the festal services. There are some very down-to-earth practical things that one can do: make sure that you keep your diaries as free as possible from social engagements; as in all the fasts avoid making plans for journeys away from home; simply clear your freezers and fridges of non-lenten foods. Then plan to set aside more time for church attendance, for prayer at home and spiritual reading. Obtain books to read during this period which will instruct you about our Faith and the Christian life. Make a conscious and generous assessment of what you intend to give away in alms during the fast, and stick to it. Perhaps volunteer to help in charitable work over the “Western Christmas” freeing someone else up to celebrate their feast. And perhaps what we so often fail to do: resolve from the very start to keep this fast to the very best of your ability and never give up trying to do so. Remember the fast is not something inflicted upon us as a rule. It is a weapon given us to aid us in our spiritual battle. A soldier who holds a sword in his hand during battle and does not use it is not likely to come through that battle a well man. Just as in the case of a sweet dish on the table or a gold piece thrown down on the crossroads, whoever comes first [to church] is the most satisfied or enriched. Godly words in the divine church are sweeter than honey and honeycomb and dearer than a thousand gold pieces, according to the holy David (Ps. 18:10). 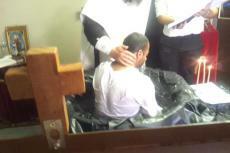 He who arrives first will enjoy grace first, but he who arrives lazily and carelessly is a stranger to grace. Ven. Joseph of Volokolamsk, + 1515 A.D.
St Philaret, Metropolitan of Moscow, + 1867 A.D.
Read the November edition and the December edition of the Shepherd, published by St Edward Orthodox Brotherhood,, a men’s monastery in England, which is under the omophorion of our Greek Sister Church. 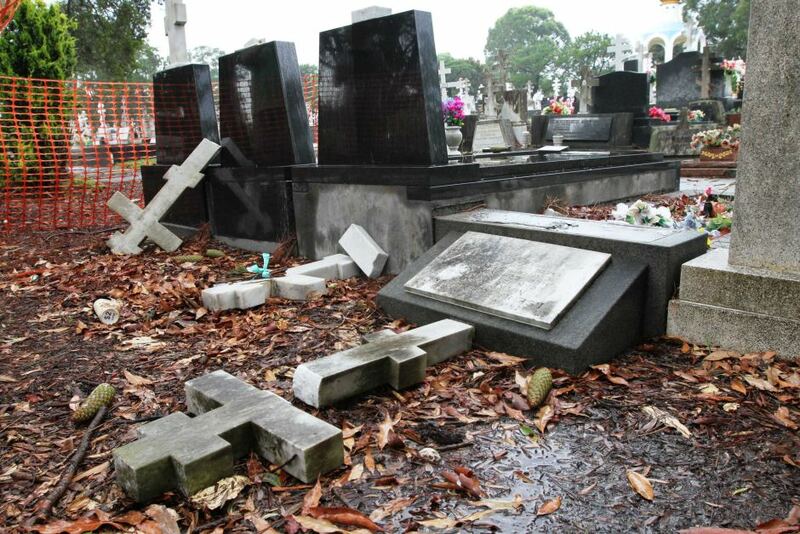 More than 70 Orthodox gravestones and Crosses were recently overturned or otherwise vandalised at Rookwood Cemetery in Sydney. Officials state that neither racial or cultural aggression was implied in this sad event. However, Orthodox Christians should understand that such vandalism is clearly inspired by the evil one, who especially hates the Orthodox. A natural reaction might be sadness and anger. Nevertheless, let us not give in to such feelings, and not let them detract our attention from firm faith and hope in God! 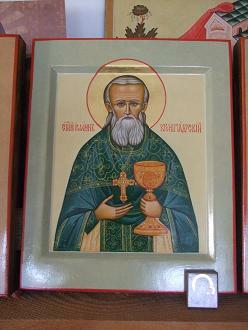 One famous example is St Sava of Serbia. 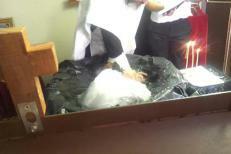 His relics were burned (!) by the Turks, but in front of God, he was and remains a glorious saint! The Orthodox people’s faith was not touched by the event, indeed, their veneration of the saint became even more fervent. The persecutors of Christians often did not release the bodies of the martyrs to the faithful, knowing how much relics strengthened the people’s faith. But God allowed the faithful to recover the bodies, and the Church to grow, watered by the blood of the martyrs. Many saints actually had very little regard for their bodies. They commanded their disciples to leave their physical remains unburied, or even to allow wild animals to eat them up. 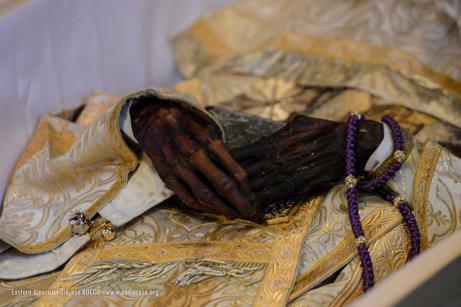 These saints considered that their earthly vessel, the body, had some human weaknesses, or maybe committed some small sins, and therefore was not worthy of burial. Instead, God Himself glorified His own people. God did not allow these saints’ will to be fulfilled! Animals would not touch the dead bodies, and the disciples would have a very uneasy conscience in obeying… We read in the Lives of Saints that the disciples subsequently buried their fathers with great honour and reverence. One of the mourners, who was troubled by a demon from birth, was often going to visit the saint, while the latter was among the living, and receiving alms from the holy Philaret. The demonised man was following the relics of his kind benefactor and kept shouting. Then, in a disorderly fashion, he began clutching at the bier to overturn it. When the mourners reached the grave, the demon cast the man to the ground and agitated him; after shaking the sufferer, the demon departed. 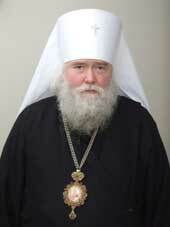 The man had been made well through the intercessions of Saint Philaret. What can make a difference to our departed ones’ souls, is prayer in Church and at home, almsgiving and good deeds. 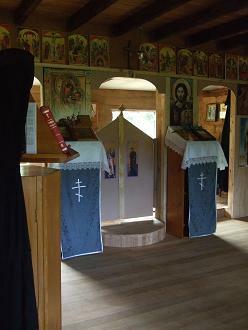 An Orthodox Christian should concentrate his love for his departed relatives and friends on good deeds for the benefit of the soul. 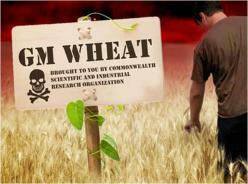 GM Wheat and Scientific Technology: Is It Safe? Ever since the Renaissance, man has begun to reshape society, discovering or inventing new ways to propel civilisation forward. A lot of this progression is due to science and the development of technology, allowing mankind to revolutionise the meaning of life. One such revolutionary example is the production of genetically modified (GM) foods, such as wheat. Though there might be advantages to GM foods (helping out farmers and producers), there are also disadvantages and risks that must be considered. Recently, there has been much contention over the CSIRO’s (Commonwealth and Industrial Research Organisation) decision to trial GM wheat in Australia. Using scientific technology, the CSIRO has managed to suppress an enzyme in wheat, effectively changing the genetic makeup. However, this shutdown of the enzyme can lead to health problems in humans if wheat is ingested. Professor Jack Heinemann of the University of Canterbury in New Zealand stated in his report that the enzyme being suppressed in wheat is similar to the human enzyme that produces glycogen (a carbohydrate that stores energy in plants and animals). 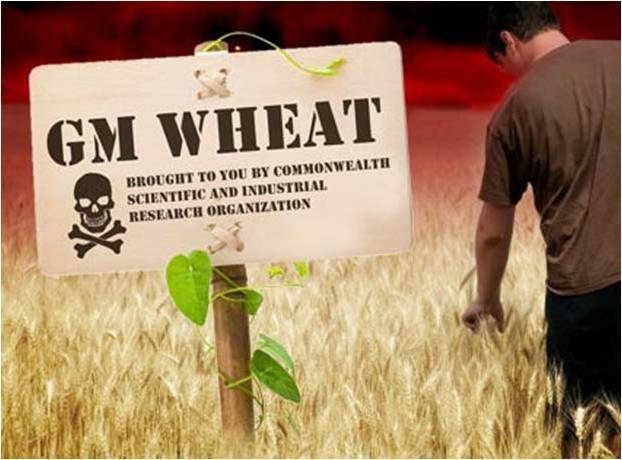 He goes further to say that if GM wheat was ingested, humans would experience a decline in glycogen production, leading to liver failure, or even early death in children. Genetically modified food is not the only form of scientific technology that has been under the spotlight in today’s society. 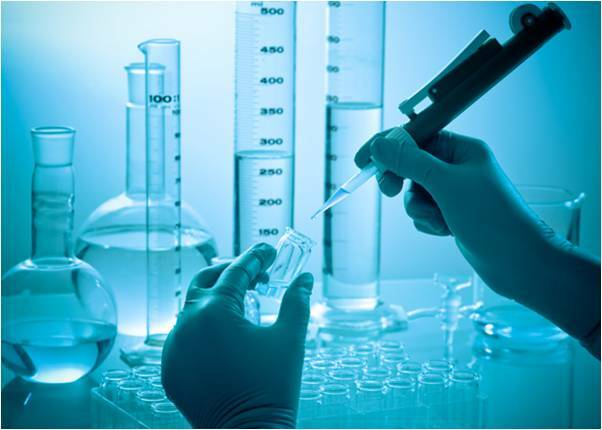 Stem cell research, cloning and designer babies have all been under the pump of society and many people voice their opinions about the new methods – both for and against. Personally, I’m against the new forms of scientific technology, not only because I’m a Christian, but it’s also my personal opinion. Though I can see the appeal of GM foods – it might help farmers and the agriculture industry – I don’t see the grand appeal of stem cell research and designer babies. I think it’s barbaric to even consider thinking of killing discarded embryos that haven’t had the chance to grow and develop, all in favour of creating perfect people. The only being capable of creating perfect people is God, and we shouldn’t attempt to rise to His station and omnipotence. We are not God, but merely his servants. Last year during Yr 12, my Biology class had a discussion about the benefits/risks of scientific technology. I remember one girl saying that she would rather terminate an embryo if it had disabilities than let it suffer and be alive. Now, that might be seen as being merciful, but I felt disgruntled and shocked when she said this. I thought to myself: why kill an innocent being because of its disabilities? Shouldn’t it have the chance to live? There are many people around the world who suffer from diseases such as Down syndrome or autism, and yet they manage to not let that disability disadvantage them in any way. Moreover, some of the most famous people who have shaped the world have done so with a disability or disease. Stephen Hawking and Albert Einstein, two of the most prolific mathematicians, both have/had disabilities, but they didn’t let that prevent them from contributing to the world of mathematics and physics. Beethoven and Mozart were able to compose the most beautiful and melodic pieces despite their misgivings, and Vincent van Gogh was able to paint awe-inspiring paintings despite his bipolar disease. Everyone is imperfect in some shape or form, and it’s wrong to try to rectify the imperfections in the world. What’s worse, is that I think we are slowly starting to accept the scientific technology which is slowly changing the way society thinks and processes information. It scares me to think that soon, no one will be individual and we will all look the same, think the same. Essentially, we will become puppets on a string, bending to the will of the puppet-master, accepting everything we’re told without so much as a second thought about why we must accept it. We must try to dissuade ourselves from the pull of science and remain steadfast in our beliefs and in our faith in God. Though it may seem we are the minority in a world of science and corporate power, we are the majority that will inherit Paradise. Bishop Nikon speaks abnout a spiritual approach to certain politically-influenced current problems among some people of the Russian Orthodox Church Abroad. He speaks about spiritual life, which relates intimately to all problems in life. A characteristic of spiritual life of beginners is their great zeal. Often, this zeal is unfortunately a “zeal without knowledge”, which has the capacity to be used by the demons to the destruction of a Christian. Although a beginner’s zeal may not be directly sinful or passionate, it is not yet holy zeal, full of love for God and neighbour. Indeed, it cannot yet be holy, because the spiritual life cannot be learned from books - it must be lived through, over many years. To assist in learning the Christian life, correct spiritual practice and guidance are of great importance. Every believer’s prayer and life must follow the teachings of Scripture and the Holy Fathers. This might seem not too difficult, as many written sources are widely available today, and anyone can read them….However, without a living spiritual guide, a beginner is bound to fall many times, and may not be able to extricate himself from his inevitable mistakes. Both laymen and clergy must therefore have their own spiritual father here on earth, to whom they not only confess their sins regularly, but also disclose their inner thoughts and feelings, as well as their manner of practicing the faith. This they do in order to learn the true Way, and in order to never be separated from Christ on account of some mistake, some slip in their mind, feeling, or understanding. We are all beginners in spiritual life, and it is not possible for us to discern whether we are on the correct path without guidance. 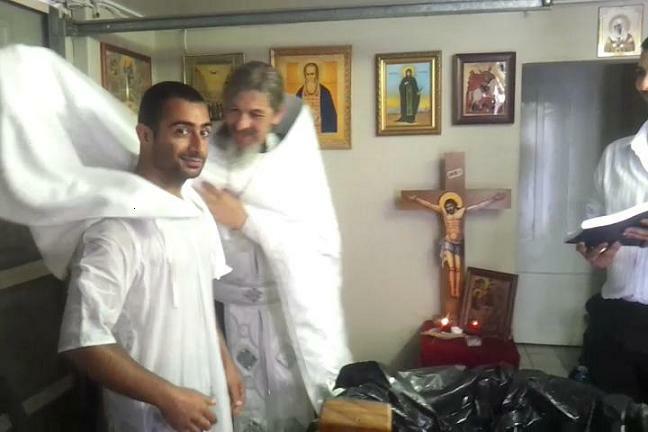 This way of spiritual life is not only for monks, but rather, it is for every Christian! 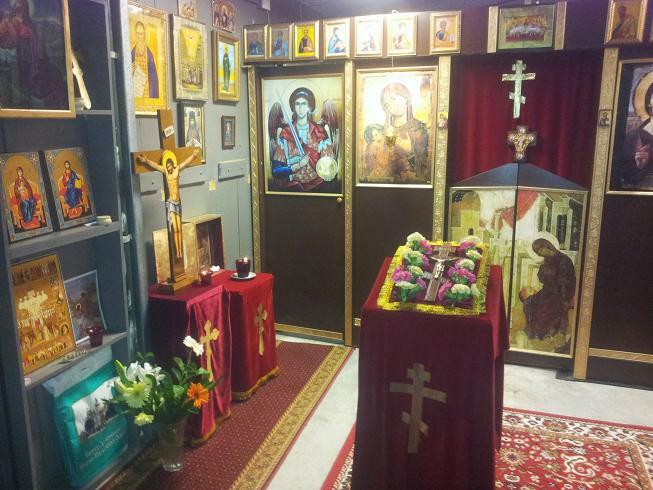 Do we truly cherish belonging to the Russian Orthodox Church Abroad? Because I was overloaded with all sorts of concerns, I did not look at the internet for a few days. Then, I opened the “Internet-Sobor” site, and sincerely rejoiced at the sight of a large number of very useful material, of which we all are much in need. I have in mind a number of edifying articles by the pillars of our Church, - the First Hierarchs of the historical Russian Orthodox Church Abroad. Anyone who wishes, may find much edifying material in the thoughts of the First Hierarchs, if he only approaches this priceless treasure with humility - a treasure which was given to us so generously for eighty years. And again I say – let us proceed to the study of the spirit and thought of the Russian Orthodox Church Abroad, in the same way as small children start to study letters. We are all in fact no different from such children, and we will not approach these writings in order to find phrases pulled out of the general context in order to destroy our alleged “ideological enemy”, who indeed was a brother yesterday. Such behavior would be the best indication that a person does not understand the writings in the spirit and mind of the Russian Orthodox Church Abroad. So one should not be surprised that some “political” articles on the topic of the day cause many stormy, passionate comments and thoughts, whereas there usually is no reaction to the thoughts of our First Hierarchs and Metropolitans. Of course we would like to believe that this is a kind of reverent silence, and not a consequence of disinterest of the readers…. God forbid that the presentation of such articles be turned into “casting pearls before swine …”! This kind of glorification FROM ABOVE is of particular importance, which would not be the case had it happened with a pious layman or Priest. 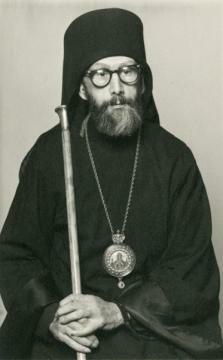 This is a glorification of a Bishop, who by his rank expresses the doctrine of the Church led by him. Archbishop John of Shanghai, and also Metropolitan Filaret, occupy a very special, or even the first place in the Russian Orthodox Church Abroad, which is not true of Bishop Constantine, although this in nowise diminishes his spiritual qualities. Nevertheless, he was quite equal to them in their high rank. Would it be a sin to think that among the multitude of the ever-memorable Bishops which the Russian Orthodox Church Abroad knew in its history, both the most prominent and lesser known, there may still exist yet other relics, quietly resting in incorruption, in anticipation of a possible opening of their holy relics? That is why we should all forget today’s squabbles, which seem so inappropriate and inconsistent with our state as Christians of the Russian Orthodox Church Abroad. We must thank God for the joy of belonging to this Church, in which flourished so many “spiritual flowers” - and we must try to be worthy of this affiliation, increasingly venturing into her spiritual heritage and engaging in mutual settling of accounts. In fact, sometimes one starts to think – do we truly cherish our belonging to the Russian Orthodox Church Abroad as we should? In connection with the mention on “Internet Sobor” of the miracle of the renewal of Metropolitan Anthony’s portrait, and in particular the circumstances related to this wonderful phenomenon, it is impossible to not see this as a sign from above. I would like to once again bring to the discussion of all conscious members of our Church the proposal of glorification of all four First Hierarchs. Of course, we are aware that each of them could be wrong and sin, as this is common to all people – for no one is without sin, except Christ our God. But because they all together, as one, made evident and told us of the true path of our Church, we must strictly hold to this path without deviation, in the midst of the surrounding stormy sea of life. It seems that this is a solution that is able to unite all of us. Read a short life of Bishop Constantine, who at one time served as Bishop of Brisbane. 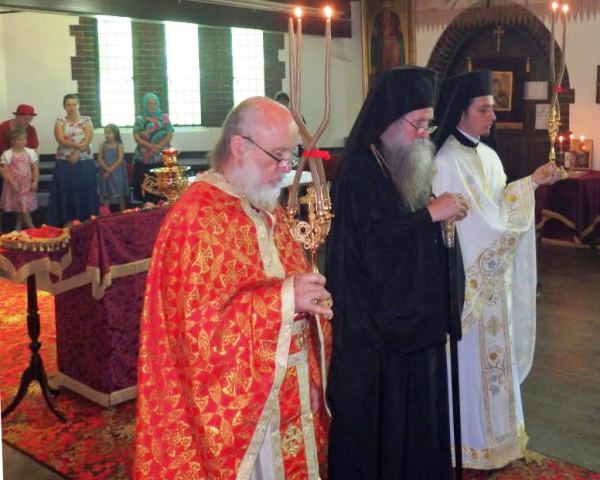 Account of the re-burial of the incorrupt remains of Bishop Constantine, which occurred in Jordanville, NY on the 2nd of December (ROCOR(MP)).